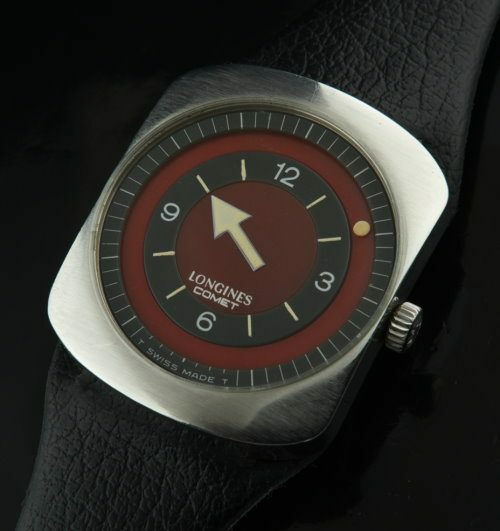 This is a VERY uncommon circa 1970 LONGINES COMET. This exotic original red dial LONGINES COMET ca. 1970 with a rotating dot for the minutes and turning arrow hour hand is EXTREMELY clean. This LONGINES is housed in a 35x41mm. stainless steel signed case with original winding crown. The manual winding LONGINES movement was just cleaned and is accurate. This watch was purchased from a local jeweler here in LONDON ONTARIO in the 70’s and was stored for decades in a drawer. This watch has its ORIGINAL and essentially unused leather signed LONGINES COMET band. 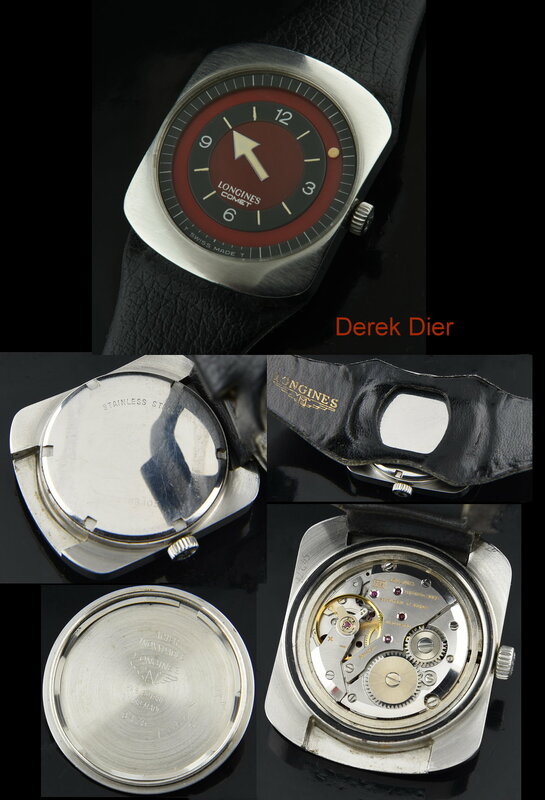 These watches have been steadily increasing in value and are becoming hard to find. A great example… just $2995.